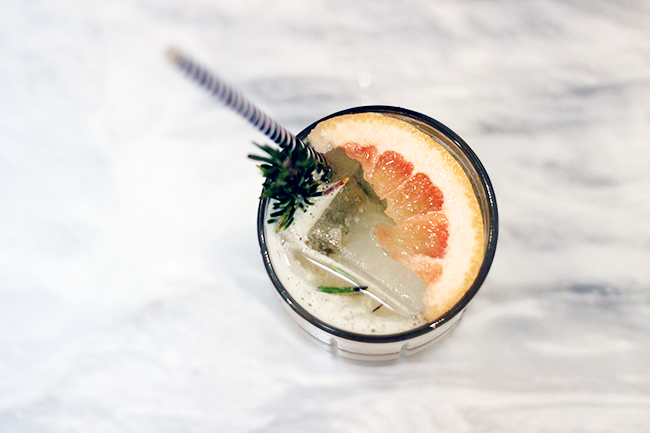 So I know what you're thinking, "Sarah, you're just using this drink on fleek thing as an excuse to make delicious cocktails on a school night." Well, I'm here to tell you that's not true. 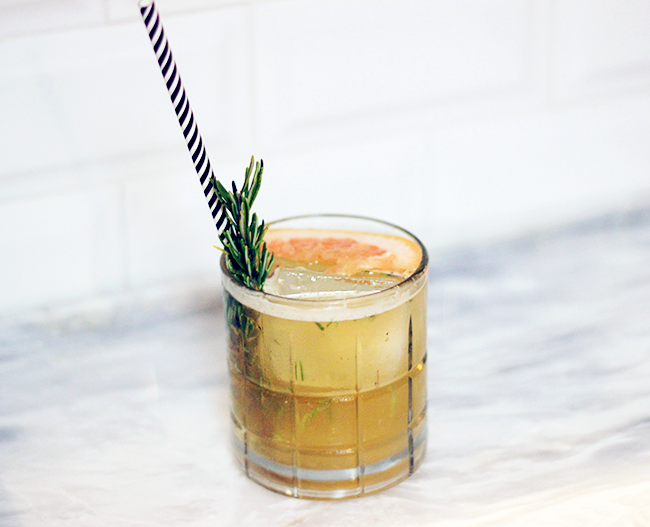 This week, I bring you the Bourbon Rosemary and Grapefruit Fizz, perfect for a school night! I already had bourbon on hand from the last Drink on Fleek, so I thought I'd be frugal and reuse that. 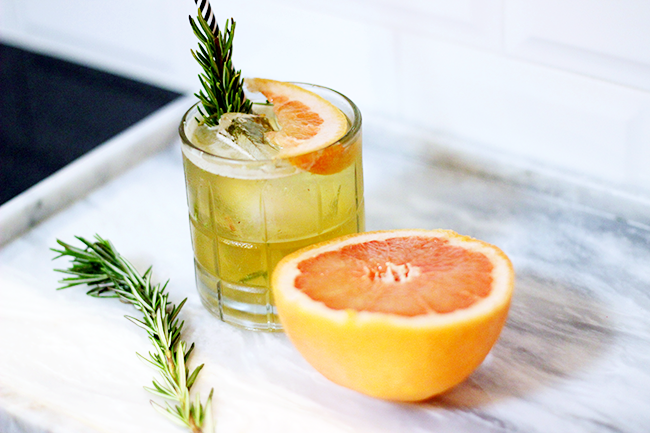 Rosemary and grapefruit are two of my favorite flavors together, but I've only used them with gin and vodka. I thought I'd give it a try with bourbon. Result? It was gooooooooood -- and very pretty! 1. 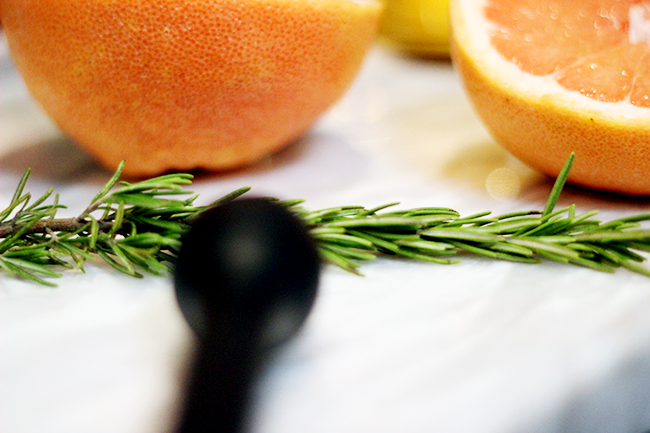 In your shaker, drop a small twig of fresh rosemary, sugar (or simple syrup), and grapefruit juice. 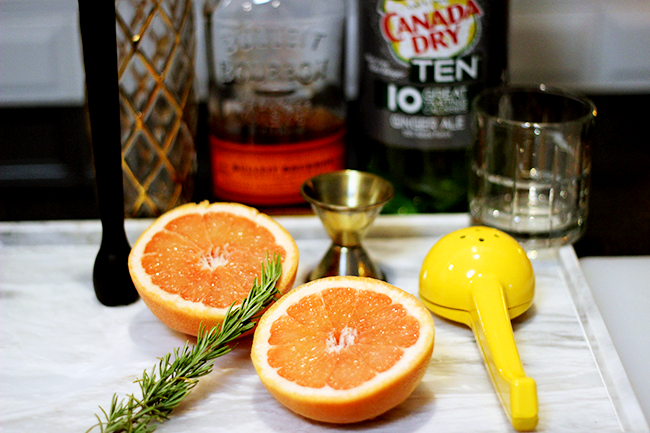 Muddle all ingredients for about 30 seconds. If you don't own one already, you should go get a muddler from your local liquor store. They're only a couple bucks and make you look professional! 3. Throw in several ice cubes and shake shake shake vigorously. 4. 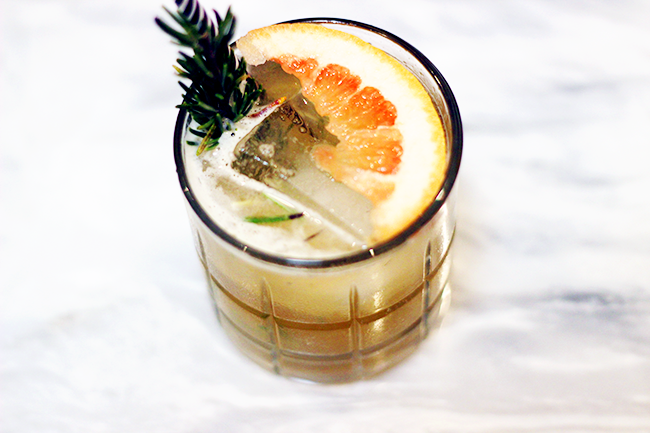 Strain into an old fashioned glass filled with a couple of ice cubes. 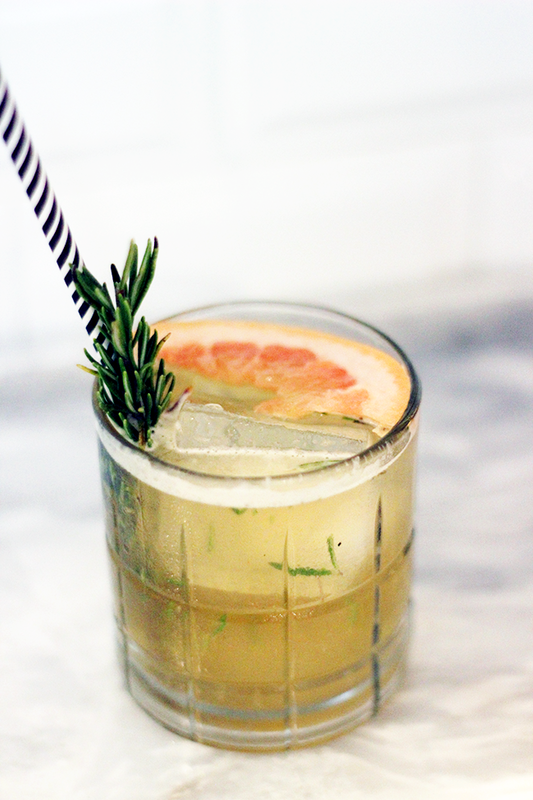 Top with ginger ale and garnish with a sprig of Rosemary and Grapefruit. 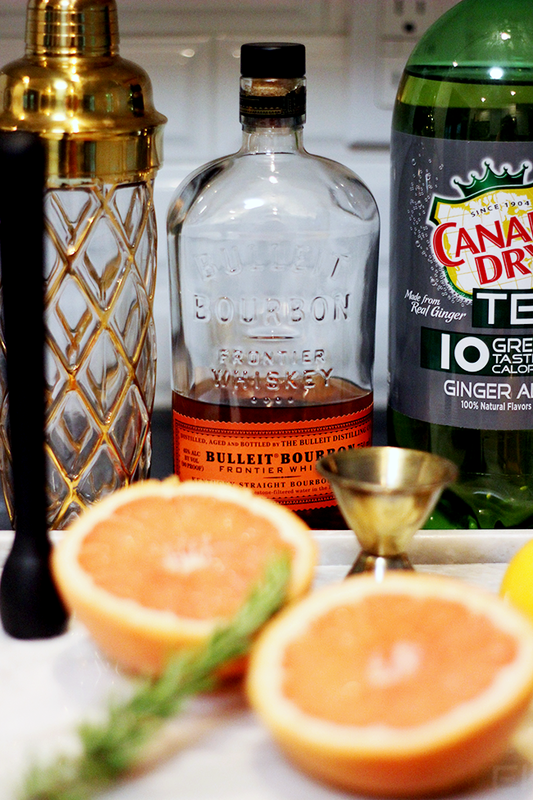 This cocktail is a good choice if you've been too scared to try bourbon in the past. 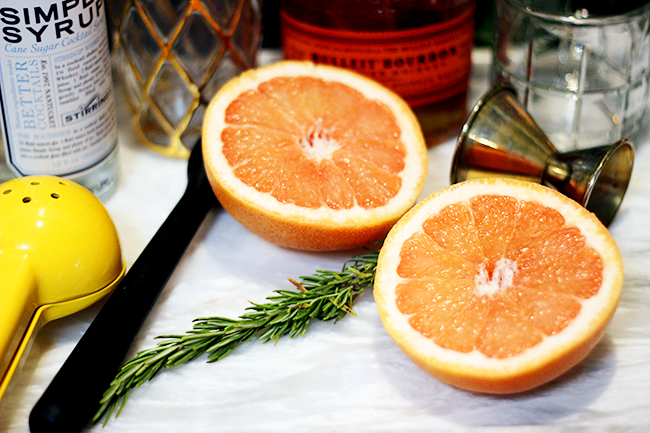 Fruity enough to enjoy, but not so strong that it'll add hair on your chest! I'd even venture to top it with champagne rather than ginger ale, you know, if it weren't a school night! prettiest pics on the block! 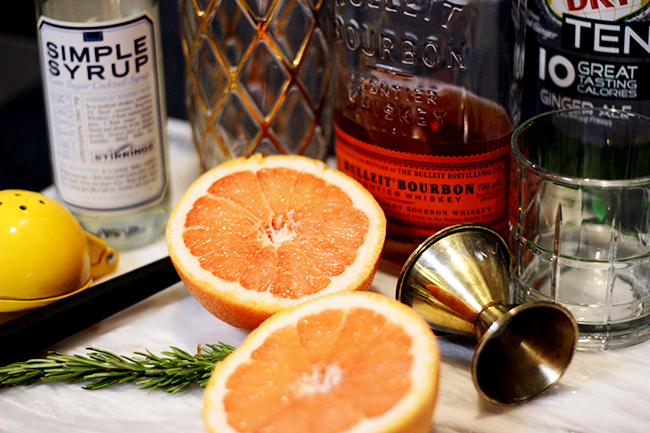 i'd never think to put grapefruit and bourbon together. But this sounds divine! Agree fo sho prettiest pics on the block!! This could be an ad campaign - now back to the main reason I'm here- do you deliver? 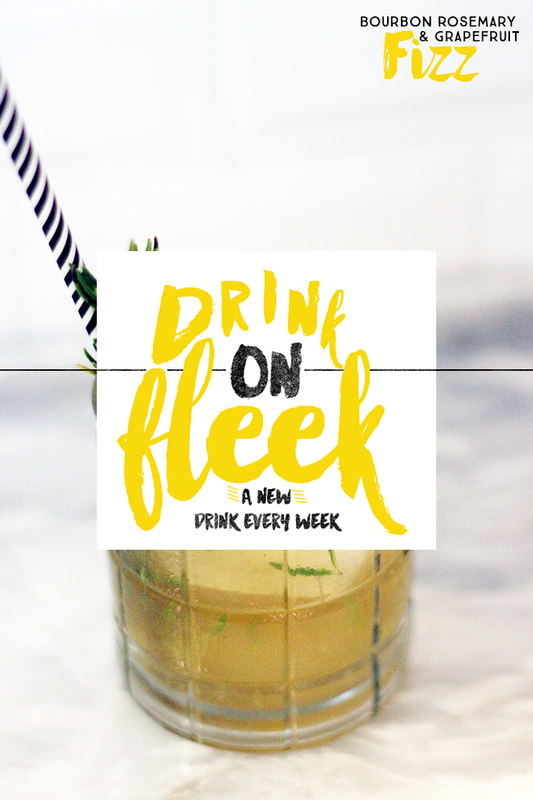 I love this new drink series you've got going on. Can't wait to see what you come up with next!